As we count down the days until Christmas, so begins the count of the final days of 2018. And, with the end of the year, brings resolutions for the new year. Most people try and make a few attainable resolutions that they hopefully stick with for the entire year, while others make resolutions that they know will be hard to keep, or unrealistic. Have you started to think about your resolutions for 2019? If getting in shape, or trying to get in a few days of exercise into your schedule and the gym is not feasible due to your hectic work/life schedule, or you aren't a fan of working out in public, then why not consider picking up the ActivMotion Bar? What is the ActivMotion Bar you ask? Here is more about this unique and innovative line of fitness bars that are sure to help get you in shape and loving the idea of working out each week/day in the new year. 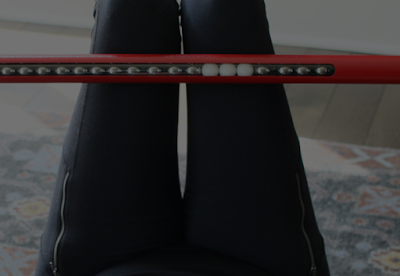 "ActivMotion Bars are hollow weighted exercise bars that are partially filled with ball bearings that shift dynamically within. This "shifting resistance" causes more stability and core muscles to work as the bar is being lifted. For anyone, this means better balance, more core strength and higher calorie burn since more muscles are working to stabilize the shifting bar. The bars come in different weights, and come with digital workouts with any purchase. You can learn more about our products and their benefits on our website here: www.activmotionbar.com. Our unique and innovative ActivMotion Bar products are the perfect holiday gift for the fitness fanatic...and can be used right in the comfort of home for an incredible calorie-scorching core and balance training workout! After just four years on the market, our ActivMotion Bar fitness products are now being used in fitness clubs (Life Time Fitness, Equinox, etc.) and Pilates studios across the globe. 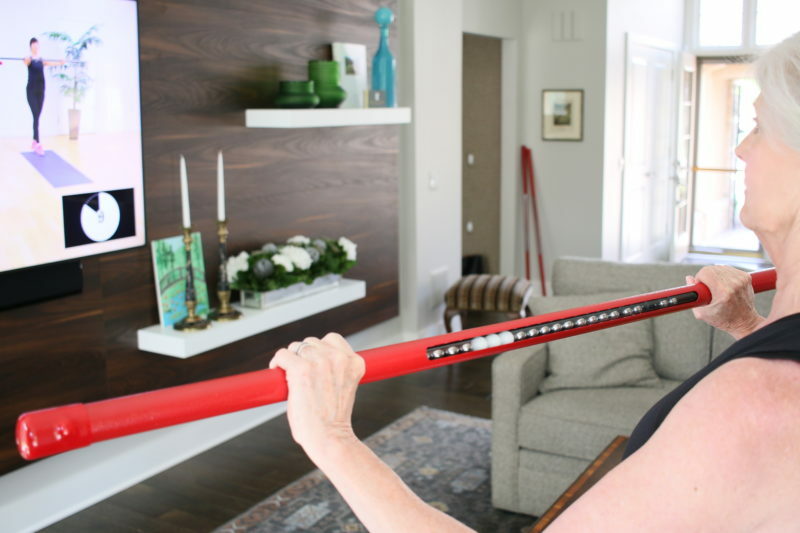 They are also used in tens of thousands of homes across the U.S.. ActivMotion Bars start at $99 in cost. They are proudly made in Michigan, USA." The folks at ActivMotion are going to be sending along their popular ActivMotion Glimpse Bar, which is currently on sale for only $109.99, for my husband and I to try out. "The new ActivMotion Glimpse Bar is here! 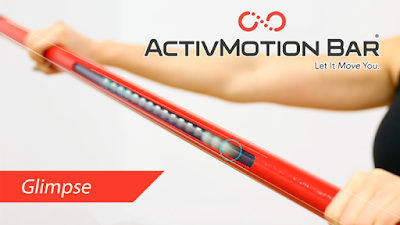 This new ActivMotion Bar comes in only one weight (4.5 pounds) and one length (4-feet). It is different from the standard ActivMotion Bars in that users can SEE (or get a GLIMPSE of) the ball bearings inside the bar. This visual feedback allows for an even greater balance challenge. The three white ball bearings in the center of the bar act as your guide or “level”. 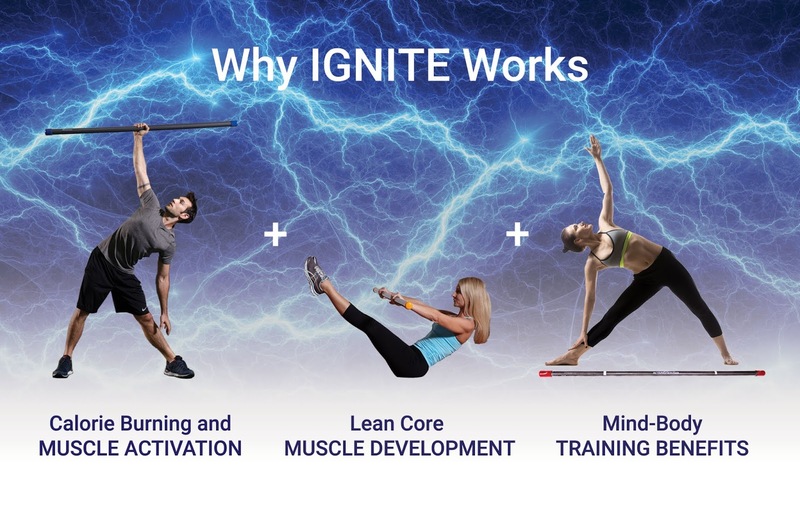 Try to keep them in the center of the bar during any exercise, and experience mind-body activation like never before! Each purchase comes with workout and instructional video content (sent via email) for fitness professionals and home users looking to safely, effectively and quickly improve balance and functional core strength." I have a background and degree in public health and community health education, so I know the importance that exercise plays on our bodies, and how important it is to keep moving, even as we get older. While we may not be in the shape we were in our 20's, it doesn't mean that when you hit your 30's and older years that you should slow your exercise regime as your body is telling you otherwise. As we age, our metabolism slows down and if we aren't eating right or exercising, then we will slowly add the weight on, and this in turn will cause back, knee and other body pains due to the excess weight we are carrying around. But, that doesn't have to be the case, thanks to this new innovative fitness bar. Now you can exercise in the comfort of your own home with instructional videos that will walk you through exercises you can do with your new ActivMotion fitness bar, so that you can get an all-around workout, that you will see results in improved balance and functional core in no time at all. 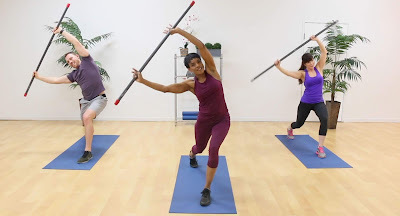 Personally, I can't wait to try out the ActivMotion glimpse bar as I have found myself not working out like I should do to my hectic schedule with my girls' schooling and other commitments, but I am feeling it and seeing it on my body, and I really want to get back in shape in 2019. And, with the ActivMotion bar, I plan to do just that! So, stay tuned as I will be sharing a personal review of the Glimpse Bar that I will be receiving shortly in the mail from the folks at ActivMotion, and can't wait to put it to the test, and see how working out with this fitness bar is. I will also share my husband's thoughts. 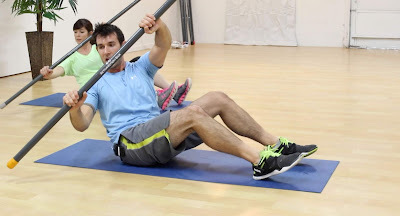 As a fitness fanatic, he should have good insight into how well this fitness bar works and how it compares to using medicine balls and other weights in a fitness program. So, stay tuned. But, in the meantime, be sure to head on over to the ActivMotion Bar website to check out their different fitness bars available, and to find the one right for you or that fitness buff in your life. Then, take advantage of the special limited time savings on each of the ActivMotion Bars, as your wind down your holiday shopping. So, what are you waiting for? Head on over to the ActivMotion Bar website today and learn more about this unique and innovative fitness product today!